Eugene, Oregon. Cool and wet, by Midwest standards, most of the year. Home of the University of Oregon Ducks. Nike got its start here. There is a focus in Eugene on outdoor recreational activities (bike paths are everywhere), the arts, activist political leanings, and alternative lifestyles, i.e. hippies. Original hippies who are now in their 60s and 70s and older. It’s crazy to see elderly people sporting long stringy hair, straw hats, granny glasses, tie dye apparel, granny skirts (on the women), and sandals everywhere you go. And you can tell that they have been sporting these styles and lifestyles since the 60s, too. 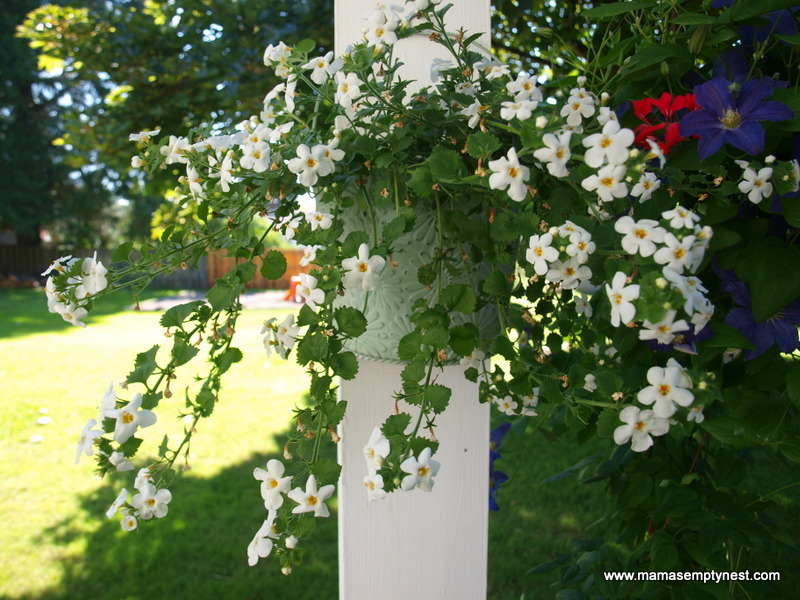 The climate lends itself to lush foliage and most yards are bursting with color from rhododendrons and other flowers. 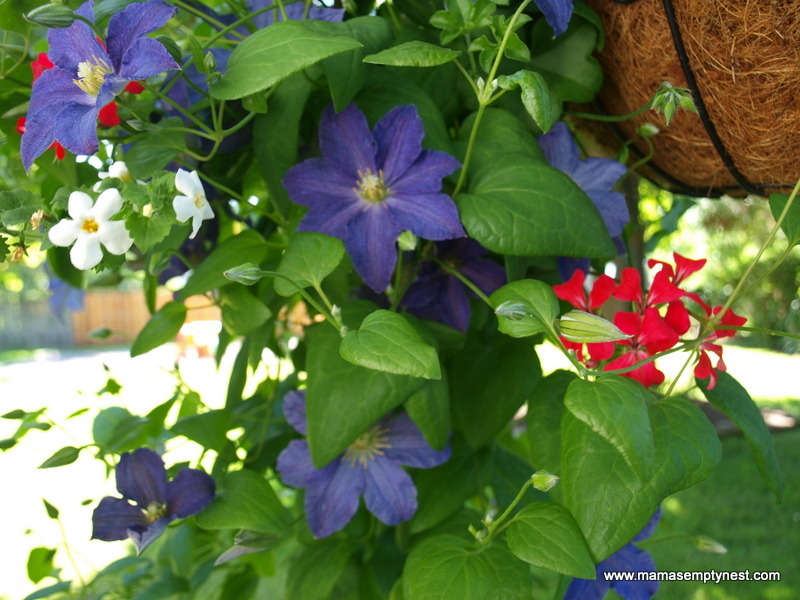 Home gardens are common. RVs are everywhere – most yards include RV pads. The flowers in my sister’s yard are amazing and beautiful. She has a blueberry bush and her garden was bursting with zucchini blossoms so I made some Fried Stuffed Zucchini Blossoms for her family. My sister’s neighbor’s red chicken loves to be petted and mugged for the camera. My sister’s neighbor has four chickens in their backyard. They lay about 3 to 4 eggs per day. The chickens were friendly and the eggs are lovely to eat. 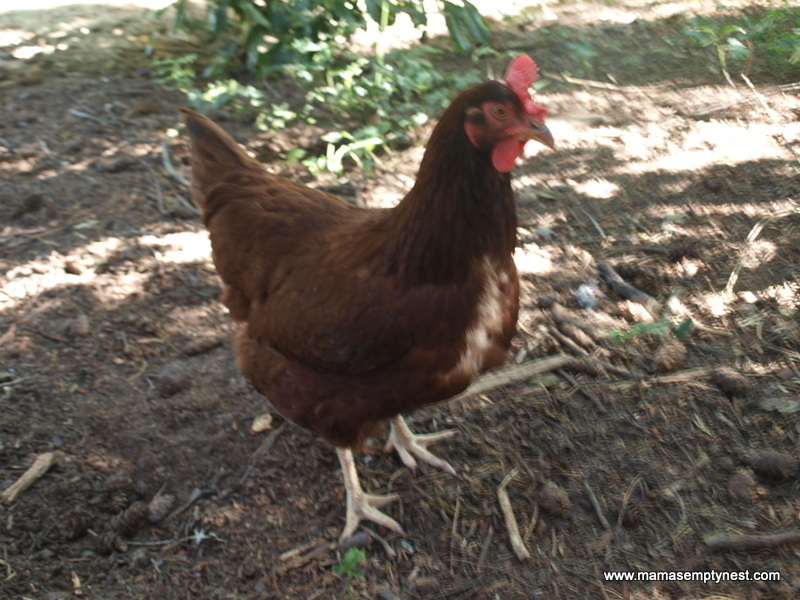 I would love to raise chickens and have fresh eggs someday. Eugene is about 50 miles from the Pacific Coast. 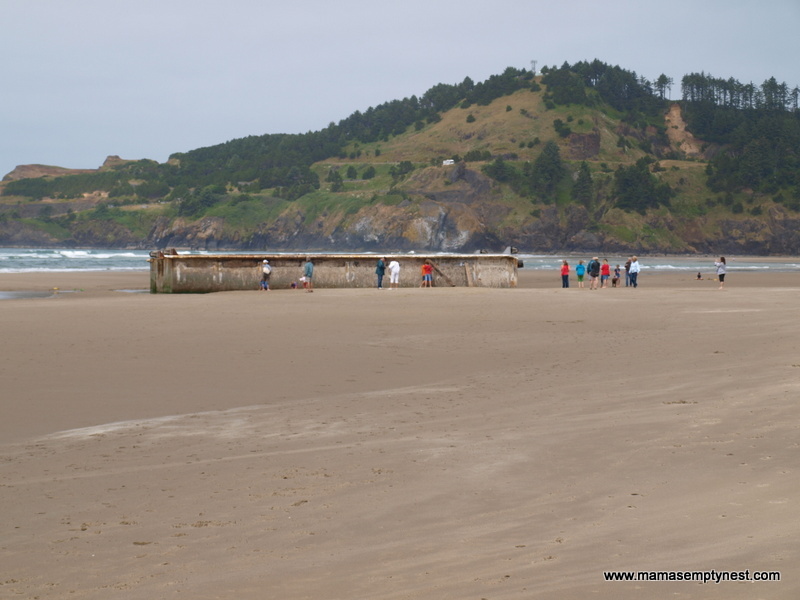 In early June, 2012, a 132-ton metal and concrete dock that was dislodged during the Japanese tsunami in March, 2011, floated over 5,000 miles and landed on Agate Beach near Newport, Oregon. 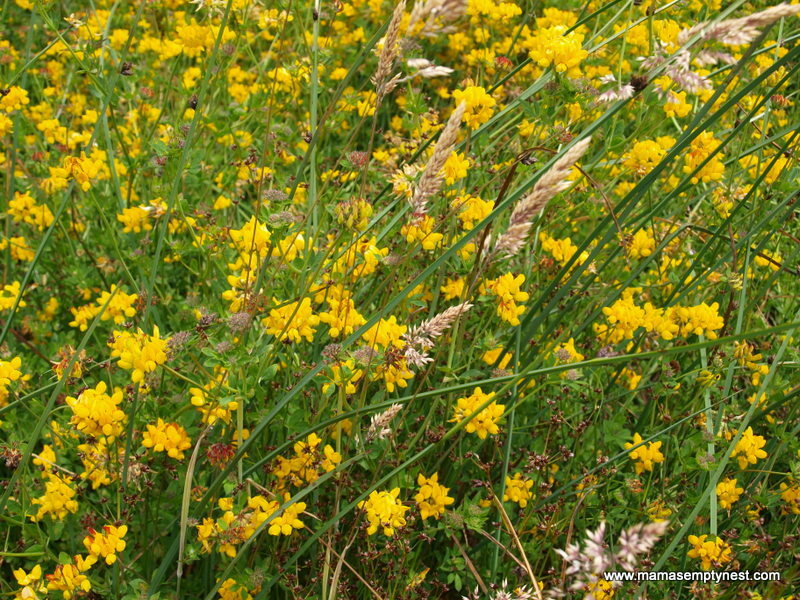 Flowering plants in the sand dunes along Agate Beach. When it first landed on the beach, it was tested to ensure that it was not radioactive (it was not) and then all of the sea critters on it were scraped and torched off it to ensure that no new invasive species were introduced into the Oregon ecosystem. 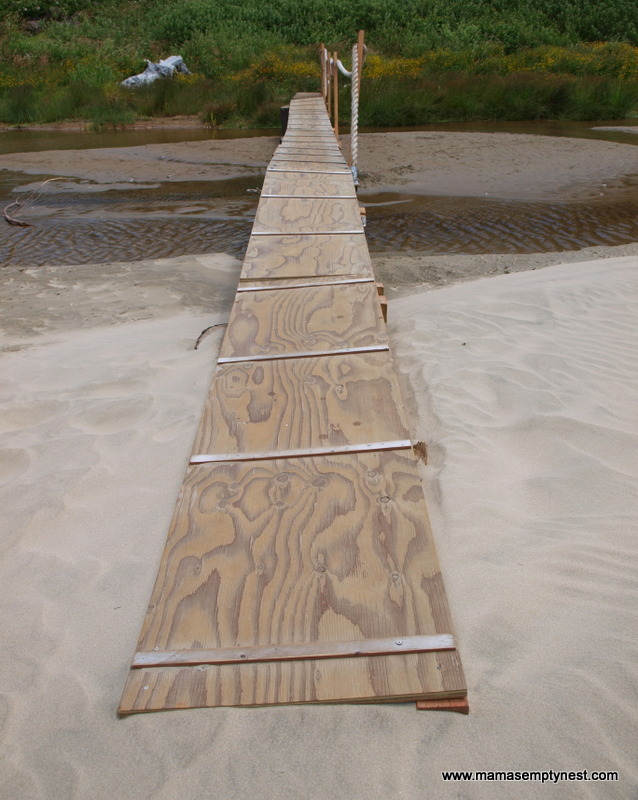 A makeshift bridge over the tide pools to the main part of Agate Beach. You have to walk about 6/10ths of a mile to get to the Japanese junk (I kept calling it space junk much to my nephew’s chagrin). The Japanese junk from a distance. The dock appears to have washed ashore upside down and is out-of-place along the pristine Oregonian beach. 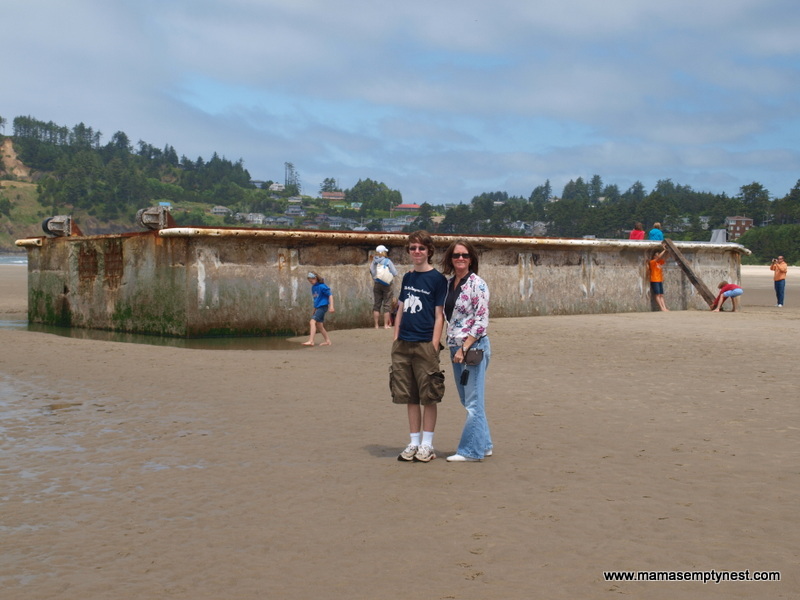 My sister and nephew in front of this enormous piece of concrete and metal put its size in perspective. What to do with this piece of tsunami junk has created controversy which, it seems, is very Oregonian. There have been calls to recycle the materials, to save the dock, and to create a memorial among other things. After reviewing all options and associated costs, a contract has been secured to remove the junk before it sinks too much further into the sand and makes it harder to remove. It will be removed in pieces, some of which will be saved for a future memorial. Apparently, there isn’t much that is of value to recycle. Yes, the Oregon beach is cool. Cool because it is clean and beautiful, but also because the temperatures in mid-July still mean long pants and sweaters are necessary. 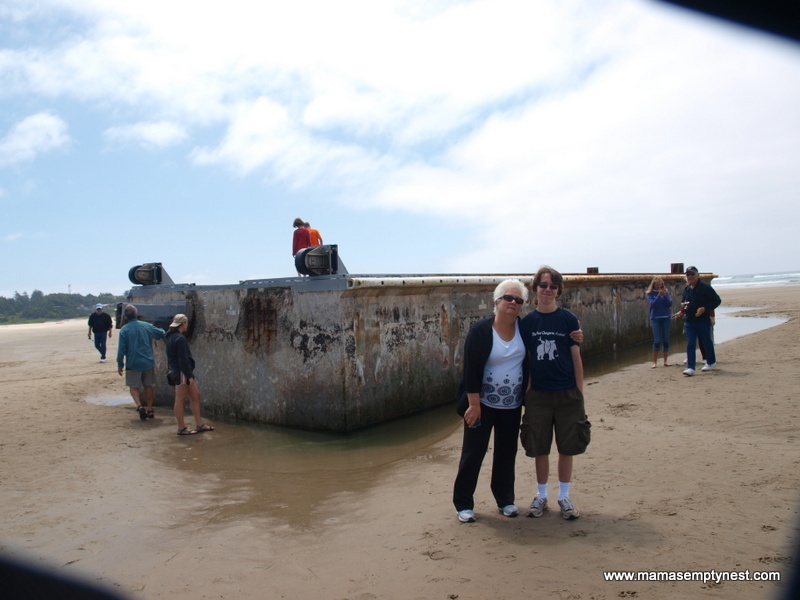 My nephew and me in front of the Japanese tsunami junk. So, my visits to Oregon include trips to see unique things that will be gone soon. The Japanese junk will be dismantled before the end of the Summer, and the steady stream of visitors will end. On my last visit to Oregon, I got to see Keiko the whale at the Oregon Coast Aquarium before he was shipped back to his natural habitat and subsequently died. Oregon is a unique state in many ways and not just for its people, laws, and lifestyles. Its natural beauty includes mountains and forests and rivers and the coast. There are many natural wonders – the Columbia River gorge, the waterfalls, the middle part of the state whose roads do not open from the Winter snowpack until June, the rugged coast and lighthouses, Crater Lake and other National and State parks and monuments. All of those things are wonderful and worth a visit to Oregon, but on this trip I was interested in seeing the Japanese junk that landed unexpectedly and unceremoniously on the beach one night. As it turns out, the blossoms were pumpkins. When you leave a garden for almost three weeks, they go wild. It is so overgrown that it was hard to tell if they were the zuccinni or the pumpkin. Pumpkins win! They were delicious. They were still good and still squash blossoms. I had read that squash blossoms, other than zucchini, were more bitter, but the pumpkin ones were not! They were a little bit more spiny, but since I trimmed them, they were okay.